Jungle Red Writers: The Lure of Mysterious Objects. Inheritance is an odd thing, isn’t it? When my British partner’s mother died, we headed back to the small Kentish village where she lived to sort out the estate. It was the muddiest January in decades, giving us ample time to go through the toys left over from childhood and all the dishes. The usual things. Until we got to a little writing desk packed with all kinds of things left over from the time my partner’s father spent in Ceylon, before it was Sri Lanka. Dad was born and raised there, even married his first wife before the British were ousted and returned to a land where none of them had ever lived. I knew this backstory, of course. The wife died and then Christopher Robin’s father remarried and he was born of the second marriage. But I only have bare bones, no matter how many times I delicately came at the subject. They’re all British and well-mannered so no one was ever interested in sitting down and pouring out the whole story to me. Most of them don't know it, but those who do are not interested in telling it. Which only makes it more mysterious, right? Also, I am a writer and a former reporter. It's my job to get the story. When we opened that desk and found all those artifacts, I almost literally swooned. 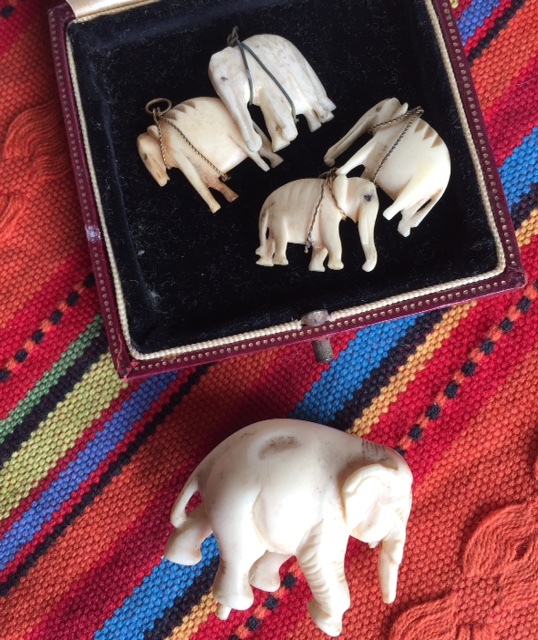 The little key opened a tiny door where I found a set of carved elephants, enough for a necklace and a pair of earrings. Who wore them, I wonder? A drawer contained a fantastic mirrored tablecloth, intricately embroidered and so well kept the the reds are very bright still, all these years later. I found a box of tiny elephants, one dressed with a silver harness and maybe an aquamarine jewel. Who loved these things? What was life like, back in Ceylon, on the tea plantation? What did they do? How did they live? It always seemed to me that no matter how right the revolutions in India and Ceylon that ended British rule (and of course it was), it must have been so very strange to go back to a cold, northern land when you’d spent your life in the tropics. They must have missed it. Wouldn’t you? No one else wanted all those things or the desk, so I brought them home (shipped them via slow boat from England to Colorado), and here they stay. The carved trays are polished and hung on my walls. The elephants are lined up with little pools of water made of quarters by my granddaughter. All of their mysteries remain entirely mute. I've never been able to find out anything more about them, but I do love to think about the former owners of these beautiful things. A couple of years later, I fell into some BBC reality shows about the country estates that are falling into ruin because they’re so expensive to keep up. Which mixed and brewed with all my questions about Ceylon, and a book was born. Olivia Shaw is a sophisticated food editor who discovers after the death of her mother that she is heir to a crumbling estate in a village in England. She travels back to see if she can discover the reasons her mother lied to her all those years, and unravel the story of the house. I fell madly in love with Rosemere Priory and the small village of St. John’s Cross, and the Anglo-British family whose story is irretrievably tangled with her own. I hope you might enjoy it, too. RHYS: Barbara's book is published this week. I am certainly dying for my copy to arrive! And Barbara has offered to give a signed copy to one lucky commenter today. Congratulations on your new novel, Barbara. Your book sounds quite intriguing and I’m looking forward to reading it. Might you perhaps tell us a bit about the story? Even if your elephants come complete with an unsolved mystery, they are lovely and your granddaughter’s little pools of water are so precious . . . .
My reply disappeared so I hope I don’t reply twice. the book is my ode to the English countryside, the story of a woman discovering her mother’s truth, and finding her place in the world. Your book sounds interesting, and I love the premise. So many wonderful stories are lost when older family members pass on. Oh, I so agree, Marla! I agree. A good reminder to listen to people around us. Thank you for sharing these treasures - and the mysteries behind them. Best of luck with your new book! Oh, I love the sound of your new book, Barbara! I, too, love the premise and also love the story you shared with us here and the pictures. I bet your granddaughter loves those elephants! Best of luck with your book! Welcome Barbara--you are one of my must-read faves, so my book is already on the nightstand. I wonder if every family has a few secrets that they are keeping and won't tell? Although yours is so exotic and lovely! Thanks for the welcome! Very happy to hear you already have the book. I’m sure all families and objects have stories to tell. Your book has already arrived here as well and I hope to read it soon. Sounds very good, as are all of your books I've read! Oh Barbara! Those lovely elephants! Now I'm wondering about them.... Elephants hold a special place in my heart--I have a fancy blue bead in the shape of an elephant in my car. Now I have to read your book--because unlike real life--at least in your story we readers can hope for the secrets to be revealed! Yes, that’s the pleasure of writing—we get to solve the mystery! She loves the elephants, but even more she loves the desk. Hello Barbara, I'm new to your work so your book sounds like a wonderful introduction. 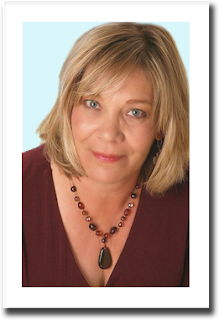 I'm fascinated by the idea of family secrets and how the discovery of the truth impacts identity. This sounds like a must read for me. Truth and identity! I never thought of it that way, my work in progress is also around that theme. Hmmm. Welcome Barbara, Your captivating novel interests me greatly. I have read all of your beautiful, emotional and memorable novels and look forward to enjoying this wonderful story. I enjoyed learning about the treasure you discovered. Kudos on your new book, Barbara. Are the elephants ivory? Were there any issues with importing? I have lovely little table, inlaid with ivory, that one of my aunt's boyfriends sent back from Burma after the war. Everytime I look at it I wonder how it came to be made. I also recently cleaned out a drawer in aother table that came from my grandmother. When I removed the paper lining, I came across a big circular ink stain, obviously from a bottle of spilt ink. What a mess that must have been, and I wondered how many things were ruined. Old furniture, old places, old people are full of secrets. Some of the elephants have ivory tusks, sadly. But no issues importing (antiques?). So sorry. The carved set are ivory. I was fascinated with the elephants and the desk which you brought home. How special and I am glad that you appreciate the significance and will enjoy these unique and priceless family heirlooms. Your stories bring me great pleasure. This book sounds like a must-read! Welcome, Barbara, and congratulations. The elephant harness, I believe, is called a howdah. How I remember this from old Tarzan movies when I can't remember where I laid a slip of paper last week is a mystery in itself. I woke up this morning from dreaming about a cache of treasures we found recently, owned by my husband's peripatetic father, who collected carvings and art from all over. Two boxes of Inuit and Alaskan carvings, in particular, intrigue me. Many are signed, from the 60's and 70's, when carving and fishing would have been pretty much the only occupations available in the Northwest Territories and the Arctic. Ann, I'm pretty sure we have some small ivory pieces, too, just small bits of larger sculptures. I love that you know that the harness is called a howdah. It would be neat to open draws and find things like that. PS I remember you, and your wonderful novels, from TLC. Happy to see a new book from you! Not that I’ve found so far. It is so heartbreaking. What beautiful objects! Knowing the stories would be great, but I bet your imagination supplied ones that are just as good. Congratulations on your book! I wish you success. Your book sounds intriguing. As fellow writer, I can well understand your desire to learn about the people who owned the objects and their lives. We writers always love a good story. Again, best of luck. I'm definitely going to look for your book. We are hard wired, for sure. Barbara, I absolutely loved your books, The All You Can Dream Buffet and The Garden of Happy Endings. This one sounds like a winner as well--I'm putting it on my to-be-read list. Please keep writing! Thanks for telling me, Margie! I hope you’ll enjoy the new one. What treasures you found in that desk, and I like the way you have them displayed with your granddaughter's clever pools of water. Isn't there an elephant deity in India called Ganesh/Ganesha? I'm so glad the mystery of the treasures in the desk led to you writing a book, which I would love to read! Ganesh is indeed an elephant god. And I love those quarters so much! I don't know that we have anything in my family that would bring out a story like this. But then again, we've talked through family history quite a bit. Thanks for sharing your story with us today. Barbara, I couldn't resist your book--just my cup of tea!! 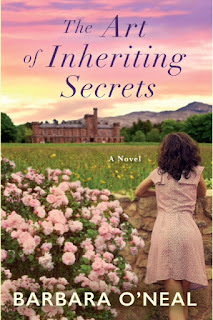 I love stories about inheritances and family secrets. Throw in a moldering English estate and I'm in reader heaven! Family secrets are so interesting, right? The books sounds very appealing. 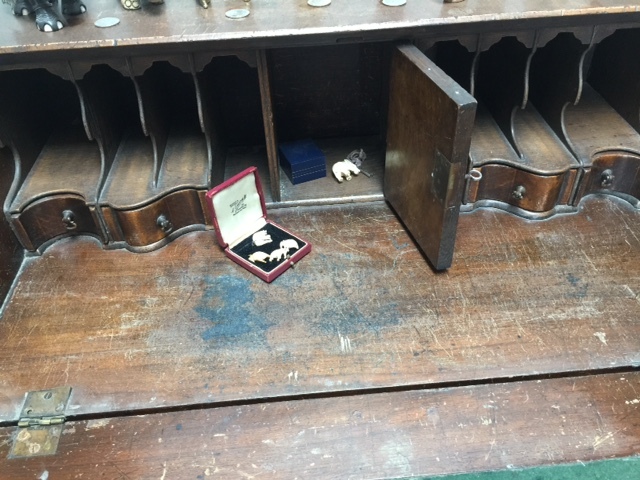 It must have been fascinating to go through all of the objects found in that desk. I couldn’t believe no one else wanted those objects! I was fascinated. In my family, everyone know everything, so I find this premise very intriguing! It's going on my TBR! Congratulations on your new book! I have loved all of your work and look forward to reading this new story. I have a relative who passed away several years ago, but as we were going through his belongings, I came to realize how much I didn't know about him. He had so many trinkets and beautiful vases, paintings, etc. that I'm sure told stories of his life and travels. It makes me sad that I'll never know those stories. I kept some of those objects just so that I could honor him. Needless to say, your new story is very intriguing for that reason. Honoring him that way sounds just right. I find family histories so interesting, with their secrets and reveals. And, those possessions once treasured by someone, left without the story of their importance. Those elephants you found, Barbara, are so wonderfully mysterious. I'm glad you have them and the desk to make new memories and stories, and with your granddaughter already involved in the story, it's already begun its new journey. The items I have from my parents' house have special meaning to me, but I worry that their significance will be lost when I'm gone. I need to make a more concerted effort to inform my children and grandchildren about them. Barbara, your book's story has immediately drawn me in. 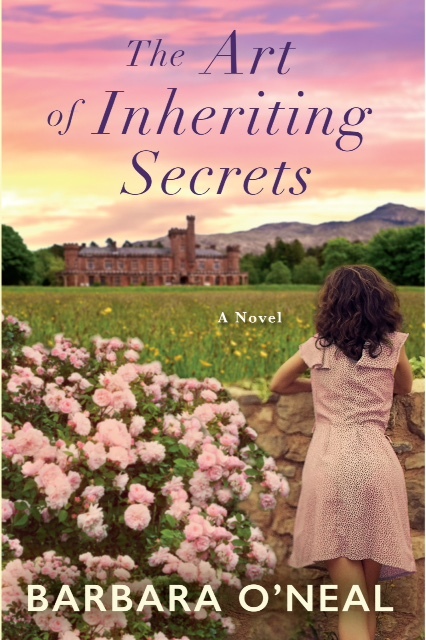 An English estate, crumbling though it may be, and sorting through it, set in an English village, and connecting family secrets--what's not to love! It's going on my TBR list and wish list immediately. Kathy, my mother copied what her mother did, and left index cards with dates and information about family items that otherwise might become mysterious objects. 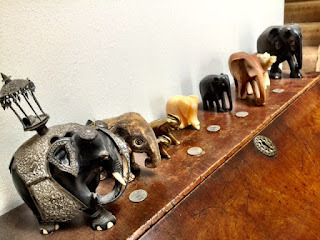 It's wonderful for those of us who inherit the pieces, but it does lack the story-telling allure of Barbara's beautiful elephants! Julia, that's a great idea. I'll be copying it. Thanks! How maddening to know a fascinating story is just out of your reach. Mom and I used to read a lot of the same books involving family secrets, “lost” estates and so on. I’d ask her if there was anything from her family’s past I should know about. She’d grin and say no. Your book is on my TBR list. I’m imagining her with aCheshire cat grin. Your book sounds fascinating! I remember things my mother told me many years ago that "I've never told anyone else" only to find out in the past few years that my brother knew, too! Hmmm - not so secret secrets. Oh, the elephants! For my birthday this year, I had everyone donate to the Sheldrick Wildlife Trust, where I "foster" a few of the orphans. One of my favorite things as a kid was to spend an afternoon in my parents' or grandparents' attics or basements and go treasure hunting. So many mysterious objects for an eight year old to find. I love the premise for your book, Barbara, and can't wait to read it. Looking for something to watch this summer, I found Father Brown. I think that I will like the mysteries but I loved the English village and countryside. Some British shows are worth watching for the scenery. Your book sounds very interesting. I so regret not listening and learning more about the lives of my parents and grandparents ‘before me.’ Now that I’ve become a part of the older generation I wish that I could lure my grandchildren away from their electronics long enough to share some of my own stories. Congratulations on your new book - sounds fascinating! Barbara, I've yet to stumble upon any mysterious family keepsakes, but it's interesting to turn the tables and think about what items from my own life might remain decades from now. I have a collection of elephants, and your post makes me realize that only I know where each of them came from. Perhaps I need to write a small guide to the elephants if I want next generations to know their origins! Congrats on your new release! Those elephants are so pretty. My mom would love them. How many of us wish we could sit down with departed family members and tease apart the strands of family stories. So many people in my family were simply "discreet" or reluctant to talk about certain things, and I now regret not pushing back a bit, because so much went with them. I have found, however, that the in-laws--their daughters-in-law specifically--have been great sources of information, telling me, "Your Grandma was glad to talk about her early life! She told me that your mom and aunts weren't interested!" (which wasn't the case, but perspective is such a personal thing...) So...my advice would be, cast a wide net if you're interested in hearing family stories. Write to the elderly cousins or in-laws. Ask! Barbara, I am fascinated b your partners family history and connection with Ceylon. I spent, what we might describe as, ‘my elementary school years’ in Ceylon in the fifties. My father was a scientist on the Rubber Research Station. At the age of eleven I went back to England to school as did all English children from the tropics. However one of the experiences I had before I left Ceylon was being taken by my parents to Kandy which was the ancient capital of the Singalese Kings. The temple of the tooth in Kandy is one of the most sacred places for Buddhists. Each year the Buddhas tooth in a sealed casket, is taken from the temple and paraded through the streets on a senior elephant accompanied by many other elephants, dancers, drummers and flag bearers with the flags of ancient Ceylon. This is the Perahera. The night parade is the one to attend. I remember being up on a balcony at a level with the backs of the elephants who wear richly embroidered hangings and are lit up with Christmas lights. It is a fine sight, but best of all for me was the leading elephant, quite small, was ridden by my amah’s grandfather, who carried the temple scrolls for all to see. I also have a collection of elephants, however your elephant with the Howdah and silver trappings, is a representation of the Howdah carrying the caskets of the Buddha’s tooth. I hope this gives you a little more back story. My family left Ceylon ahead of the nationalization of the banks as my father feared, and rightly so, that all assets would be frozen and ex-pats would not be able to remove assets from the country. This did in fact happen later and we had friends who lost their tea plantation but could not get money out of Ceylon and retired poorer than planned. Was your grandfather Christopher Robin?